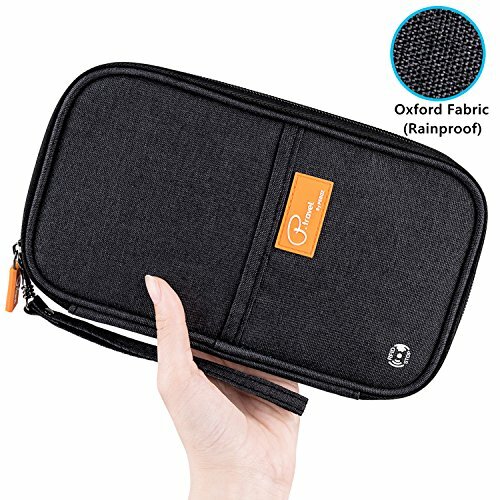 ☆ TOP QUALITY: VanFn RFID travel passport wallet is made by high density linen and cotton environmental blended fabric, built-in RFID blocking lining, is strong and durable to keep your credit cards, receipts and travel documents organized and secure. 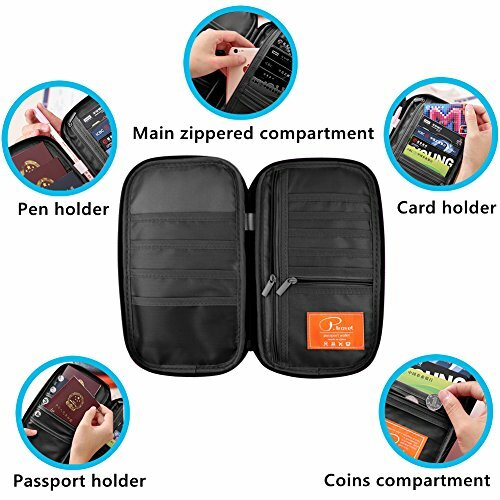 Zippered and multiple pockets design ideal for holder your phone, cash, pen, tickets and boarding passes. Rainproof fabric design ensures your accessories don't get wet if travelling in the rain. Make your journey comfortable and wonderful. 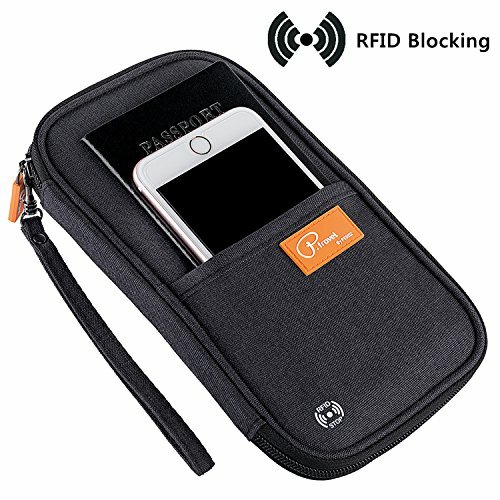 ☆ MULTIPLE COMPARTMENTS: Our rfid travel wallet gives you special space inside for 5 credit cards, 4 passports, also for boarding passes, smart phone or tickets. 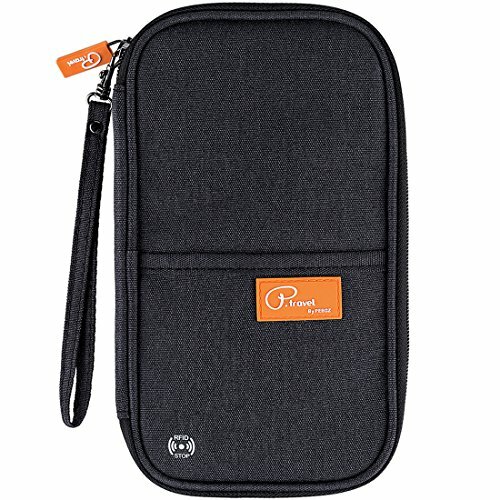 It has two zip pockets where you can put money, coins, keys, USB and SIM card. 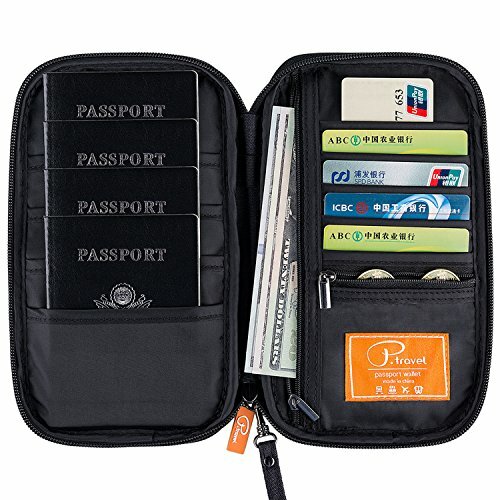 The travel organizer also provides a front pocket, which works great for storing quick-access items like an airline ticket or boarding pass. No more panicking as you pat down your pockets and dig through your bags. ☆ CONVENIENCE: Wallet with removable wristlet strap design that could make your hand free when you check in. Size about 9 x 5.5 x 1in (L x W x T). 2oz weight only. The compact passport wallet is easy to hold in your bag or travel gear case. Multi-functional trip document organizer can be reached on any trip as a handy travel companion. 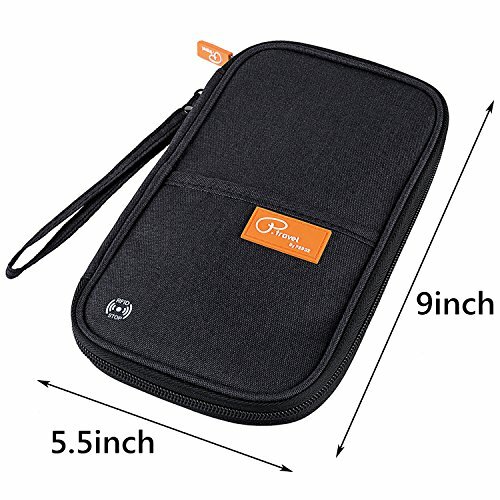 Perfect for organizing your travel document or other little articles of daily use. It is a must have family passport holder for convenient & safe travelling.